This was my experiment to see if the Pentium G4400 would live up to the benchmarks I've been seeing. I set out to build the cheapest possible rig capable of playing games at 1080P, very high/ultra settings (no AA) while maintaining 60+ FPS. Essentially a rig that is attainable by the average console gamer, while offering a better gaming experience. The original budget was set at $500 (before sales taxes) with parts that were stocked by local stores. It didn't take long to realize that this was simply not possible. The only graphics card that would fit the budget was either the R7 370, or the GTX 950. Both of which are not truly up to the task of high quality 1080P gaming. 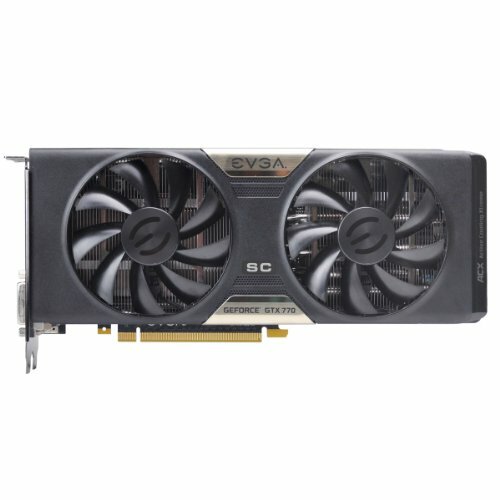 I was originally going to purchase a GTX 960 (putting the cost well into the $700 range), until I found a used GTX 770 for $150. Not only did it save my budget, but it also nets better performance than a GTX 960. Now, on to the title. After reading 2-3 reviews/benchmarks of the Pentium G4400, it showed some real promise. In the gaming benchmarks it was within 10% of the i5 6400 (the i3 wasn't used in ANY reviews as a comparison). GTA5 was used in one of the reviews, showing 51 FPS vs the i5's 56 FPS. That was enough for me to try it out over the i3 6100, especially at half the price. Grabbed all the parts, put it together. CPU: SO, the G4400. All those reviews...... It started out well with BF4, some slight hiccups and some obvious CPU bottle necking. However, I could run it at max settings (with AA) and still churn out 50-65 FPS in a 48+ man server. Moved on to Star Craft II, again maxed out it did fairly decent. Physics had to be turned down to Normal for good FPS in hectic scenarios. GTA 5....10% slower than an i5.....not true. Regardless of settings, the game would stutter and have texture loss issues. I tried all of the "dual core fixes" the internet would offer. Made sure the cores were unparked, gave them affinity etc. The game was unplayable. One of the fixes was to simply reinstall the game, but at nearly 70GB that would have taken some time. I had an i3 6100 from my HTPC so I figured I'd give that a go. The i3 completely smashes the G4400. GTA5 stuttering gone, avg of 70-80 FPS on very high settings @ 1080P. Even at 1440P it still churns out an avg of 60 FPS. BF4 fps went up well into the 80s, and SC2 could manage the Physics settings on "Extreme". That being said, if you are a light gamer, the G4400 really does offer some value. Do not expect it keep up on AAA titles at 1080P regardless of what the reviews say. 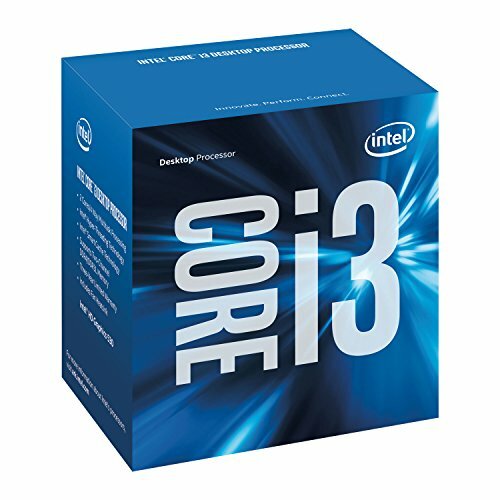 The i3 offers alot more performance (even though its twice the price) and should be considered the absolute lowest CPU to use for high quality 1080P gaming. GPU: At $150, no brainer. Crushes AAA titles @ 1080P highest settings. It beats out the GTX 960 by a fair margin but I would consider them equivalent just because of the age difference. GTX 960 has the DX12 advantage and should be considered the only option for budget 1080P gaming in my opinion (R9 380 aside). A GTX 950 may suffice, but it wouldn't be long before it needed to be upgraded. **The GTX 960 shown in pictures was returned. Got the GTX 770 before it was ever installed. 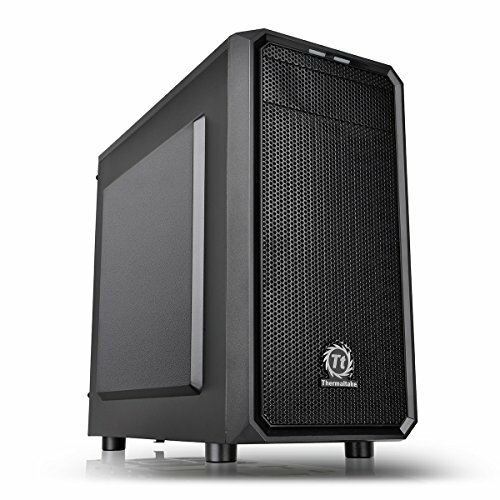 CASE: Building in the TT Versa H15 was super simple, cable management was easy and has plenty of fan locations. I added a couple fans for some additional airflow as they didn't really break the bank. Honestly, this is the best budget case you can get aside from the CM N200 in my opinion. It's on the flimsy side, but ease of building makes the SS PS08 or Fractal "1000" seem over priced. RAM/HDD: These require no explanation. Cheapest, most capacity allowable by budget. PSU: EVGA power supplies have been good to me. Was also the cheapest 80+ 500w I could get my hands on. FANS: Very loud when not controlled. Used inline resistor cable to get the sound in check. They definitely move alot of air. Said and done, with taxes, this build cost me $625 CAD and I really can't complain about the performance. All parts we're purchased from Memory Express and price matched to lowest Canadian prices I could find. Ended up $100 over-budget, but it provides exactly what I aimed for and then some. If you don't play seriously intensive games, get a GTX 950 (R7 370) and a G4400 and have a decent gaming rig for only $500-550 CAD. Now that you've read this explanation of some ******* building a computer, rate the build and leave some feedback! +1 for a true budget build that performs and looks great. 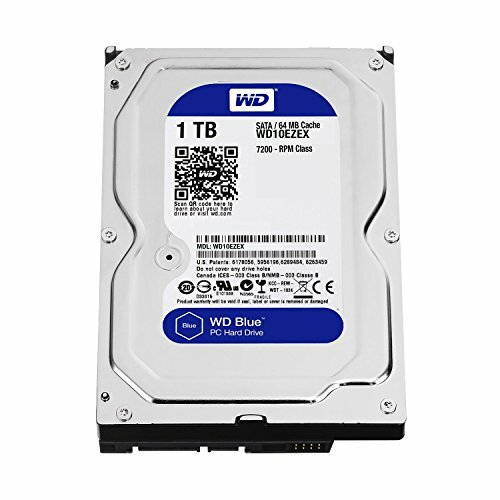 FYI: You have the i3-6100 in your parts list. I did. The title says g4400. I am still confused as to what is actually in the build currently. What if I made a build with the title i7/gtx 1080 but in the parts list I said it was just an i3 and a r7 380. Wouldn't that be confusing? The i3 was left in the build. G4400 performed too poorly for the computers needs. It ended up going into the HTPC that the i3 came out of. Thanks for the clarification. And as I said before, it's a great build. Sorry for the confusion to begin with. It was written at 3am and it seems I left this tid bit out. thank you for doing this real world experiment! Synthetic benchmarks are not always useful. 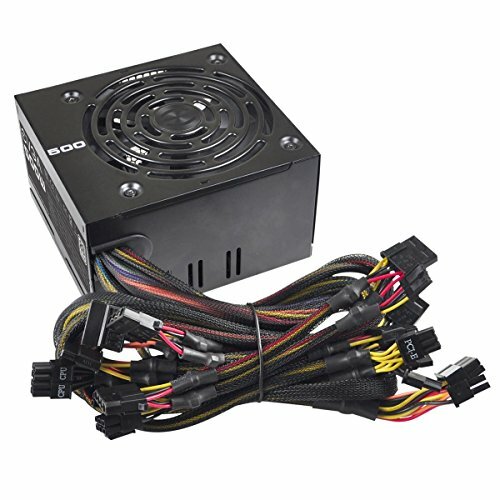 I'm looking to build a 6100 for just SC2. Thanks for the description regarding 6100 v 4400. I think it'll be a fine match for Sc2. I'm pairing the 6100 with a 144 Hz monitor. You think the 6100 can power SC2 at high FPS at 1080p on low? nice build, im hoping to upgrade to something like this soon, at the moment i have a fx 6300 and a 750 ti, but i ordered a 770 i found on ebay for $100 and im waiting for it to come in the mail, and im going to be upgrading to an i3 6100 system when i get the money. Consoles are sold at a loss because the MS and Sony make the money back in their cut of the game sales. That's why you will spend ~$100 usd more for a console equivalent PC in terms of performance. Consoles seem like a good deal until time comes for an upgrade and you need to scrap your whole console and buy a whole new one. We will see how spending $1000+ on X-Bones over the last 4 years feels come December. I spent ~$750 on a 4k vr ready comp a year ago and it will have me gaming well into the next 2 console generations, and when the time comes to upgrade it will be <$300 not $500. You will also never see console games go on sale for 30, 40, 50% off in their release year like PC games do. MS and Sony dictate that PC versions have to cost the same as the console versions, but those agreements don't cover sales and so we can see what the games would cost in a world without consoles by waiting for the next Steam sale. Consoles are bad for gaming. Flat out. Did you listen to anything he just said? Please tell you are joking....You have to. A $400 PC can easily out perform consoles and a $500 PC can murder them. Well considering that a GTX 750 Ti/R7 360 can often match or out perform the consoles you have a SUPER weak PC for $700 or a just being biased.